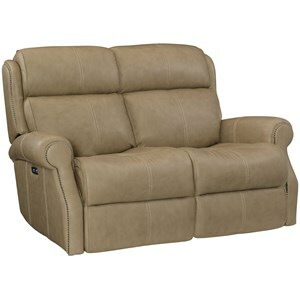 Transform your room into the ultimate hangout space with this luxurious reclining sectional sofa. It seats four comfortably, and two lucky individuals get the VIP treatment with power recline and power tilt headrests. The power seats on each end also include built-in USB charging ports. Gorgeous cow hide leather and nailhead studs make for a sofa that's comfortable enough for the rec room, but stylish enough for the living room. The McGwire Three Piece Power Reclining Leather Sectional Sofa with Power Tilt Headrests and USB Charging Ports by Bernhardt at Belfort Furniture in the Washington DC, Northern Virginia, Maryland and Fairfax VA area. Product availability may vary. Contact us for the most current availability on this product. 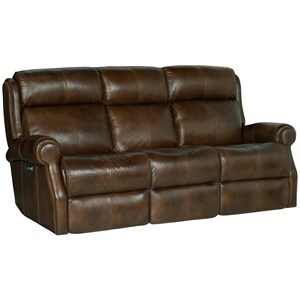 088331985 Left Arm Power Motion Loveseat 1 57.5" 40.5" 41.5"
269232121 Right Arm Power Motion Loveseat 1 57.5" 40.5" 41.5"
692386389 Wedge 1 67" 48" 41.5"
Frame Construction Bernhardt frames utilize engineered, multi-ply hardwood plywood as well as some 1" and 1-1/4" hardwoods. Bernhardt's artisans assemble upholstery frames using methods that ensure superior quality, such as sturdy mortise and tenon joints. Because corners are pressure points that must withstand stress and wear, Bernhardt craftsmen securely fasten corner blocks and braces to provide additional support and strength. Finally, they pre-test every frame for strength and durability. Upgrade your entertainment space with this collection of luxurious recliners. Not only does it provide power reclining seating for your whole crew, its packed with innovative features to make your life easier. 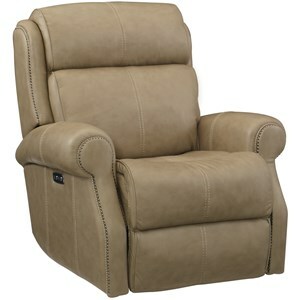 For starters, each piece includes power adjustable headrests and USB charging ports. To add to the comfort and convenience, these pieces are available with a Bluetooth app so you can save your favorite recliner settings for easier access. The McGwire collection is a great option if you are looking for Transitional furniture in the Washington DC, Northern Virginia, Maryland and Fairfax VA area. Browse other items in the McGwire collection from Belfort Furniture in the Washington DC, Northern Virginia, Maryland and Fairfax VA area.